Although Herman and Barbara have come together to form Old Northwest Frontier Tours out of a love for common interests, each has a different background and interests apart from Old Northwest. We'd like to take a few moments to tell you about ourselves. Herman Bender is an independent researcher with a background in geology (professional emphasis) and a technical field in industry. An amateur astronomer with half a century of experience and approved historical consultant, he has been nationally and internationally published in the fields of archeoastronomy, prehistoric trail research, petroform research, applied geophysics and cultural landscape studies. His publishers include divisions of Oxford and Cambridge University Presses. He conducted many public seminars and classes through the U. W. Fond du Lac Community Outreach program and taught as an Environmental Science teacher at the Senior High School level. 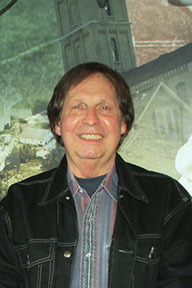 Since then, he has presented programs on his work and research at various colleges and institutes including University of Wisconsin campuses, Princeton University (New Jersey), Marquette University, Marian University, Alverno and Cardinal Stritch Colleges, the University of Turin (Italy), the Oglala/Lakota College (Kyle, SD), the Goethe Institute of Chicago, CeSMAP the Study Center and Museum of Prehistoric Art (Pinerolo, Italy), the Denver Astronomical Society, the Badlands National Park (South Dakota) plus numerous other historical societies, public libraries and many other diverse groups. Over the years, Mr. Bender has provided cultural landscape and environmental surveys for comprehensive land planning purposes and preservation. Many private organizations, governmental units and developers have utilized his information in a variety of ways. He has acted as a consultant to and continues to work with members of a number of Native American tribes including the Northern Cheyenne, Lakota, Ojibway, Potowatomi and Ho-Chunk as a specialist in Plains and Woodland Native American astronomy traditions and related cosmologies. Much of this work is related to Native American land claims, repatriation issues and cultural identities. He continues to write as an editor/contributor to the Hanwakan Center Journal and is a past member of the Editorial Advisory and Board for Time & Mind, The Journal of Archaeology, Consciousness & Culture, an international research journal, to which he also contributes articles. He is the founder and first past president of the Mid-America Geographic Foundation, Inc., and has chaired sessions at the International Federation of Rock Art Organization conference held at Ripon College in Ripon in Wisconsin in 1999 and the 2013 conference held in Albuquerque. The Hanwakan Center for Prehistoric Astronomy, Cosmology and Cultural Landscape Studies, Inc. which Herman now heads, is incorporated as a non-stock corporation by the State of Wisconsin and by the federal government as a 501(c)(3), tax-exempt, non-profit corporation. International in scope, the goal of the Hanwakan Center is to help preserve both physical prehistoric sites and the rich cultural traditions & oral histories which can be incorporated into them. Interested in history for his entire life, he collects period (American) antiques, rare & historic maps and prints, antique (pre-kerosene) lighting devices, Indian artifacts and antique Oriental ceramics. As a public service, he has mounted numerous displays and exhibits utilizing items from his ceramic, fossil, Indian artifacts and rare maps and print collections. Writer, photographer, videographer, former folk musician, song writer, and historian. I have owned and operated Associated Video, De Pere, WI, since 1990. The business is now centered around creating independent video productions. I was born in De Pere, WI, also known as Rapids des Peres, or Rapids of the Fathers, the site of a Jesuit Mission built at the first rapids of the Fox River in 1672. I feel that being born in such a dramatic and historic place has magnified my love for history and all things beautiful! I am a published writer and videographer, having produced A Coming Together - Oneida White Corn Harvest for Wisconsin Public TV, as well as other video productions dealing mostly with history, including The Port Of Green Bay and The Old Military Road and the MRSWT. I have published articles for newspaper and magazines. My photographic artworks hang throughout Wisconsin. 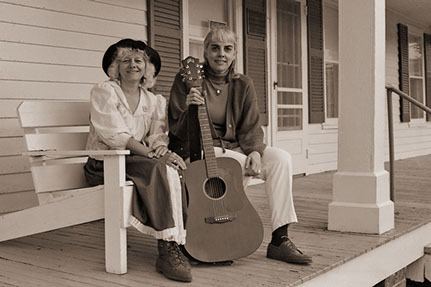 I have taught music and performed with Mary Jo Stich as the duo, Heart of Oak; and also with the groups Homemade Bread and the Fox River Rovers. I have written and produced two music cds, My Wisconsin, Vol. One and Born a Working Man. I have received several grants to write and perform musical programs; I received a grant from the Wisconsin Arts Board to write and produce the book De Pere, Rapides des Peres, Rapids of the Fathers - Our Place in New France and the Old Northwest Territory. Along with Richard and Matthew Koltz and Jay Stradel, I was co-chair for the Military Road Sesquicentennial Wagon Train that moved 250 miles across WI in 1998 to celebrate Wisconsin's Sesquicentennial. I learned a great deal about historical tour planning by helping to follow the route of the old Military Road through Wisconsin's heartland. I am now putting as much energy into planning our historical tours for Old Northwest Frontier Tours as I did for the Sesquicentennial. One of my goals is to follow the entire route of the Black Hawk War of 1832 through MO, IA, IL, WI and MN to commemorate that tragic event which was the last Indian war fought east of the Mississippi River and seems to have been somewhat lost in Wisconsin's history. Copyright 2015 by Old Northwest Frontier Tours - all rights reserved.